Watch for another Cuba workshop in January 10-16, 2016 to be announced soon. Join award-winning street photographer Steve Simon and Cuban photographer and guide Juan Carlos Ocana for an unforgettable week of living and breathing photography in beautiful Havana, Cuba. This intimate six-day masterclass (limited to 10 students) will take you to some of the most picturesque, interesting and exciting locations on and off the beaten path in Havana and beyond. Everything will be taken care of for you so we can concentrate on making amazing images of the people and the culture in Havana. We will explore vibrant, visually rich places and neighborhoods in Old Havana, often outside tourist areas for unique photo opportunities. We will have great access at a local outdoor boxing club with great light–a place where some of Cuba’s best known boxers have trained. We will visit and photograph the National Ballet & Dance Company. Old Havana is spectacular at night and we will go out night shooting as well. With the recent warming of diplomatic relations between the United States and Cuba, change is inevitable making now a perfect time to visit. This workshop is limited to 10 students and will fill up fast…you can sign up here. Steve will be teaching you new and powerful street photography techniques guaranteed to push you from your comfort zone to new heights in your work and share his street-shooting philosophies gleaned from a lifetime of wandering urban places with his camera. This intensive workshop will help you find your own unique vision and street style through assignments created to get you past photographic fears and cliches to capturing lyrical, poetic and decisive moments that communicate the energy of the streets. But mostly we will be shooting the theatre that is the street; sometimes together, often on our own. Cuba is an amazing place for a photographer, I have found the people very receptive to photographers and the color, light & architecture unique to this special place. All levels of photographic experience can benefit from this workshop. You’ll learn about the “rhythm of place” and we will discuss the laws and ethics of street photography as well as dealing with difficult situations that might pop up. We will define a strategy for capturing the rich daily life of people on the street; overcoming fears and shyness, approaching strangers, framing, juxtaposition, layering your compositions, letting the image come to you and whether color or black and white best suits your vision. The beautiful and historic 4-Star Hotel Telegrafo, on the corner of Prado and Neptuno, one of Havana’s most important intersections within walking distance to many of the great places to photograph in Havana like El Malecon by the water, the Capital and Parque Central, just a five minute walk away. We will talk street-tech and Steve will give you his minimalist view on gear along with a simplified shooting process to maximizing your response time to capture decisive moments. Steve’s street tools include a Nikon D810, D750, D5500, V3 and “Coolpix A” cameras along with a carefully curated selection of lenses; but he’s familiar with a wide range of equipment to help you maximize your mirror-less, compact, rangefinder, DSLR or even your camera phone for compelling street images. We will talk lenses, auto focus, zone focusing, shooting form the hip, using live view, flash and a host of other tips, tricks, distractions and ideas that will improve your work dramatically. It’s a street photography workshop but the lessons learned will benefit you in all genres of image-making. In class, we will look at a selection of your best work from the previous day. These daily critiques are of crucial importance, where we share ideas and constructive criticism as we look through each others’ images. The workshop will be a “safe place” for group discussions with suggestions and new ideas put forward. We will visit a photography gallery and participate in lectures and critiques every day. You will be encouraged to take on a theme over the week for your final portfolio and slide show, which could be a specific idea or as general as your “Love Letter to Havana” capturing general impressions of the city from it’s people, places, food, light or architecture. I will also be providing assignments to push you to a higher level in your work. Day 1: Flight Miami – Havana Arrival & Orientation. Transfer to the hotel in Old Havana. Introductory meet and greet talking about the week to come as you view the work of some of the best and most influential modern day street photographers followed by a quick-start session with tips on shooting and editing. We will then do a group portfolio critique followed by dinner (included). We start the day with a lecture and critique. We meet @ The hotel meeting room 10:30pm-12:30pm daily so we can take advantage of the best early morning and later in the day light. (Sun will rise at about 6:30 am and set 5:45 pm). You are encouraged to edit and choose your top six images from that morning (and the previous day’s shoot) for critique. You will have from 10:30-11:00 to finalize your edit. After the group critique we hit the streets, a little wiser from the day before. Shooting locations will be determined each morning. Night shoots will also be determined when there. Lunch is included. Supper will be at a local restaurant. Lecture and Critique 10:30pm-12:30pm @ The hotel meeting room. Street Shooting in Old Havana. Supper will be at a local restaurant. Transfer to Pinar del Rio province. On the way we will visit plantations, local farm houses; see some beautiful landscapes and colorful and picturesque towns. This day will provide a rural Cuban experience with unique image opportunities we won’t find anywhere else. Lunch at local restaurant in the area of Vinales Valley. Visit a local gallery and learn about Cuba’s vibrant photography scene. On this the final day of the workshop, we meet 1:30pm-4:30pm @ The hotel meeting room for a last lecture, critique, recap and group slide presentation highlighting your work. You will provide your final edit of up to 30 images from the week and I will weed it down to the final 18 per person for the final slide show. I will send you a copy of the slideshow which will be posted on thepassionatephotographer.com and Vimeo. Last supper of the workshop will be at a local restaurant. I always find it hard to say goodbye at the end of a workshop but I’m heartened by the fact that you leave with a renewed sense of mission and confidence, new techniques and ideas to apply and a reinvigorated passion to continue your wanderings on the streets of your world. The weather in Cuba is often beautiful and can get hot this time of year. Average temperatures in the 70’s during the day, cooling down into the low 60’s when the sun goes down. A portfolio of 12 images – JPEGS on a USB FlashDrive in a folder entitled “Your Name” for critique. Images file names should contain your name as well. This is a digital workshop, so a DSLR, Mirrorless, High-End Compact or rangefinder camera will all work. Having a back up body is always a good idea. For your DSLR or Mirrorless, fast prime lenses are ideal, or at least one wide-angle zoom. Lenses in the classic range for street photography: 28mm, 35mm, 50mm, 85mm will all work (based on full frame camera) and fast lenses f2 or faster offer more flexibility. Two or three fully-charged batteries & charger. More memory cards than you think you will need and a card reader. Your own laptop for image editing and note-taking. A flash is optional but bring one to experiment with flash on the street. *This workshop is limited to 10 students. Workshop cost is $4000, with a $2000 deposit and the balance due on or before Oct 1, 2015. If you would like a room to yourself there is a $500 single room supplement. If for any reason you need to withdraw from the workshop, please notify us in writing (email is okay) on or before Sept 1, 2015. At that time we will refund your deposit less a $500 cancellation fee. If notification of cancellation is made after September 1, 2015 and we can fill your spot; you get your money back minus the $500 cancellation fee. If you cancel after Sept 1 and your spot remains unfilled, we must retain all fees paid. The Passionate Photographer Inc. is not responsible for cancellations due to medical emergencies or unforeseen circumstances. Please insure that these last-minute emergencies are covered by your travel insurance policy (required of all travelers). Legal Disclaimer – Waiver of Liability is below the testimonials. I just wanted to drop you a line again and say thank you. Your courses were valuable but mostly you were inspiring. My photography has grown leaps and the passion I have for the art is largely due to you. My week in Steve’s Street Shooting workshop challenged me tremendously. There’s nothing like taking your work apart and putting it back together with new vision to make you a better photographer. If you take this workshop, I guarantee you will see the world differently at the end. Steve’s passion for photography is contagious and his teaching abilities and knowledge extraordinary! I highly recommend this workshop to anyone interested in photography. Really happy with it all. This one week course was one of the best weeks of my year. (Or more). The critiques were really helpful. It opened up my eyes to a whole new world. I learned what accentuates a photo or just stands in its way. Steve couldn’t have been any more patient when one didn’t understand. Getting critique on my work, getting to see other peoples work, and the shooting was really great. The vibe—meeting kind people who shared my interest and pushed me to do my best—it was an awesome group! The homey feeling at the loft was so great; feeling so comfortable as opposed to stiff workshops. I’m there for your next! Now I understand street photography and I love it. Just go out and shoot! Freakin awesome experience. (But I doubt you want to put that up on your blog). “Our week-long workshop in NYC was excellent. Not only is Steve a great photographer, he is also a caring, compassionate person as well. He is constantly trying to help participants achieve their photographic goals in a gentle, caring, and sincere manner. Sadly, the critiques of my work were very helpful. Steve was right-on in terms of his suggestions to better my work. The totality of the workshop was terrific, primarily because the parts were all excellent as well. Choice of shooting locations, image reviews, suggestions, videos shown, and galleries visited were all great. Steve also promoted wonderful interactions among the participants. The venue was perfect for the workshop. We could spread out, leave our things there, use the facilities, and eat the goodies provided. You know you’re in good hands with Steve! An outstanding workshop!! I just spent the last three days with Steve Simon, What a wonderful experience, the best time spent in a workshop ever. Steve is a perfectionist, every presentation not only had spectacular photography but also the perfect music to enhance the mood, a roller coaster of emotions. He cannot hide his journalistic background every single image tells a story. His technique is flawless; his teaching patience unparalleled. I am eager to start a new chapter of my photography applying what Steve taught me in the last few days. Apple Campus Tour Lectures: Louisiana State University, Baton Rouge; Art In- stitute of Chicago; Ohio State University, Columbus; University of South Carolina, Co- lumbia; SUNY Fredonia, (Buffalo); NYU, New York; University of Texas, Austin; Univer- sity of Wisconsin, Madison. Thanks for The Photography Tour you sponsored at The Ohio State University on April 10. Steve Simon hit the sweet spot. Simon’s talk was inspiring. By themselves, the individual photos were technically masterful and aesthetically breathtaking, and Simon’s ability to recognize and capture compelling human stories in a photo essay was as unique as the stories were moving. I also appreciated his generous, frank, and funny stories about his efforts to establish himself as a professional documentary photographer. You are fortunate to have him as a partner on The Photography Tour. The halls of McMaster College are still buzzing about the great presentation by Steve Simon. We learned valuable lessons about both the process and the aesthetics of digital photography. Even better, we were all inspired. Many of us were close to tears as Steve showed his images of the human condition. I still see Salem Sue in my dreams. Thank you for this wonderful opportunity. Thanks to Apple and Steve Simon, our photography students are even more motivated to explore new technical applications and creative practices. Thanks again. I attended the apple lecture today and I just wanted to thank you. You’re work is very inspiring and made me fall in love with photography all over again. I’m currently a student and was recently getting frustrated with all of the work I was producing. Seeing your work helped so much. So thanks for being awesome. Best. Mary and I found your photography presentation at the University of Wisconsin both interesting and inspiring. (For a point of reference, we sat behind the woman you photographed during your presentation.) We shared the story with our daughter of your book, that made its way from the recycle bin in your apartment to a listing on ebay prior to publication. Her hours have been cut as graphic artist and web designer because of the economy. She is working to expand her freelance work to make up some of the difference. Your story was inspiring to her, as well. We never know where the paths will take us. During your presentation you mentioned your preference for taking photos by available light, which struck a resonant chord, as this is my preference. I have just recently decided to devote my entire being into the pursuit of Professional Photography. You have been one of the influential factors in this decision and I wanted to first thank you so much for your inspirational work in Africa. It truly struck a chord within me and I am grateful for your speech during my Photojournalism class. It was truly a breath of fresh air and honestly re-energizing my soul into to the realm of photography. Secondly, I wanted to ask you what type of camera you use during your travels and projects? I currently own a Canon EOS Rebel XTi. This allows me to take great pictures but I want to capture true essence as you have with your astounding photographs. Thanks you so much for your time and attention, and if I do not hear back from you soon, I hope that you have safe and happy travels. Thank you. I attended the Apple workshop in Chicago today. Thanks a lot for showing your work – I was very impressed, and it motivated me to get back out there and start shooting more photos. One of your photos (from the ‘airplane’ series) looked similar to one of mine from a flight a long time ago. I took it while flying into Charlotte. I’m including it in this email just for the heck of it along with another I took on the same flight just before landing. Thanks again for the presentation. My three coworkers who attended were also impressed, and we talked a lot about photography in general on our 3+ hour drive back to Springfield, IL. I just wanted to thank you for your presentation today in Columbus. I really enjoyed hearing you speak and seeing your work, but I didn’t get a chance to tell you before we were herded out of the room. I’ve heard you speak on Inside Digital Photography and TWIP, but seeing your work really brought everything together. I think the part I found most helpful was towards the end when you showed the series of photos demonstrating different compositions of same subject (the room with coffins and the patch of light on the wall.) I look forward to reading your books in the coming weeks and will keep an ear out for you on TWIP! I attended the apple education series event in Columbus at the Wexner Center yesterday, blue shirt near the front. Anyway I just wanted to say I found your talk inspirational and your work impressive and full of emotion as your introduction stated. I connected with your HIV AIDs work having recently traveled to Honduras with a group from OSU to work with Montana De Luz, an orphanage for HIV positive youth. It was my first international trip and first to a third world country so I didn’t bring my Digital SLR, I wish I had. Thanks again. I wanted to thank you for graciously taking your time to participate in the Apple tour. Something I really enjoyed about your work is that it is real. So many photographers these days simply take pictures to distort them, Photoshop the hell out of them, or simply used as a commercial vehicle. But your work is a powerful, truthful documentation of the present moment. I love it. I think its great that not every shot you showed is perfect – like showing the flaws of life. Do you know what I mean? Thanks again for sharing your time, your work, and your passion with us. I’ll remember this as yet another meaningful and life enhancing experience that I’ve had at the Wexner Center. Thank you Steve. Best of luck to you. As a hobbyist and beginning photographer, I was so motivated by your presentation. I have always had the desire for photography but medical school amongst other things had unfortunately gotten in the way. I was hoping you could point me to some photographers or books to begin learning on the art of photography as well as maybe recommend a camera for this beginner? Thank you! I wanted to send you a thank you for your Apple presentation in Madison. It has certainly given me things to think about and without a doubt your photographs were amazing. Thanks again. You were tremendous today and I was extremely moved by your images and your passion. I stood there and watched the faces of those in the session and as I mentioned at the end, you epitomized everything I talk about when I speak to students and staff about utilizing digital media, and pas- sion to evoke an emotional response in the audience. Today, that was quite evident. Looking for- ward to Ohio State. Dan Senstock, Creative/Pro Apps Development Exec Apple Inc.
“Steve, thank you for a wonderful presentation. While your imagery clearly stands on its own, hearing the stories that weave your collections together makes the pieces even more compelling. “I want to tell you how much I enjoyed your workshop (MacWorld 2008). Your work is abso- lutely amazing and inspiring. You really challenged me to step outside my comfort area in many ways. I never enjoyed photographing people, thinking it was too invasive and too personal. I must admit I still have those thoughts, however I’m challenging myself to push beyond. Especially when I began to look around and see how many great photos are there. You also helped me re- member to be patient, to wait for the right moment with the right light and then to keep going beyond when I think I already have the shot. Sometimes that’s where the best photo reveals itself. It’s that extra time and effort that can really have wonderful results. Your workshop is something I’ll remember for a very long time and makes me even more passionate about photography. Outstanding! Could use many more presentations like this! Very inspiring and well done. Wow! Steve is Great! Inspirational! Steve Simon’s photographs and talk was great. Inspiring. Very inspiring. Great job! Really enjoyed the session. Very inspiring, excellent. Great way to end the day. Excellent speaker-very knowledgeable and experienced. By far the best session I’ve seen. Very encouraging speaking and inspirational imaging. You agree when you sign up for any event with The Passionate Photographer Inc. & Steve Simon that you have read and understand the information below. In consideration of your participation in the The Passionate Photographer Inc. & Steve Simon Workshop or Event, you promise not to sue and hereby release The Passionate Photographer Inc. & Steve Simon, all those participating in the Workshops, and their respective parents, subsidiaries, affiliates, directors, officers, employees, agents or representatives from and against any and all liability to you, your personal representatives, assigns, heirs and next of kin for any loss or damages and any claims or demands therefore arising in connection with your participation in the Workshop or Event, including, without limitation, those arising out of injury to your person or property or resulting in your death. You further agree that the foregoing Release and Waiver of Liability is intended to be as broad and inclusive as is permitted by law and that if any portion hereof is held invalid, it is agreed that the balance shall continue in full legal force and effect. If you join us for any event/workshop please understand that you are responsible for your own preparedness and well-being and will hold no one else liable in case of injury. You agree not to sue or hold The Passionate Photographer Inc. & Steve Simon or any of its Organizers, Co-Organizers or Contractors responsible for any injuries that may happen at a workshop or planned event. This release extends and applies to, and also covers and includes, all unknown, unforeseen, unanticipated and unsuspected injuries, damages, loss and liability. I understand the inherent risks associated with participation in this Workshop and the possible injuries that can be sustained by participants. I knowingly and voluntarily assume these risks and full responsibility for any personal injury or illness, including death, that may be sustained by me, or any loss or damage to property owned by me, as a result of or in any way arising out of, my participation in this Workshop, or in travel to and from this Workshop. I acknowledge that I am solely responsible for medical or other costs arising out of any bodily injury, illness, or property damage or loss sustained by me through my voluntary participation in this Workshop. The Passionate Photographer Inc. & Steve Simon do not provide liability insurance for the protection of individuals who may participate in any of the events or workshops. I heard you at B&H and was impressed. I’m interested in your workshop in NY and Havana. Another amazing place for photography is Guatemala. The ruins, colonial architecture, indigenous people, the spectacular landscape… Don’t let the State adept warnings keep you away. I traveled alonecover two weeks in the country and I am a 5’2 petit woman and I did not feel apprehensive at all and I had no problems. Guatemala is only 2 hours from Miami. Your book has been such a source of inspiration. Any concrete dates on the Tokyo workshop? Osaka would be even better! Hi Jerry, thanks. The Tokyo workshop is still in the planning stages and will likely be in 2016. I have yet to travel to Osaka, will keep your suggestion under advisement. I would be interested in Havana. I am a novice and would like to understand the skill level necessary to benefit from your workshops. Incidently my wife is a certified Spainish interpreter. (native speaking ) who would be interested in accompaning us in a professional capacity. I will be announcing the Havana workshop shortly! All levels of skill will benefit, especially a novice but a pro will learn too. I likely won’t need another interpreter as there will be a guide, but I will keep that in mind and she’s welcome to come and not take the workshop. There would just be an accommodation fee. Just figuring out the dates and final arrangements…I can’t wait to get back there. I hope it works for you guys. Yes, I’ve shot lots in New Orleans and I agree…would love to do a Street Workshop there. Steve. Count Kathy and I in on the Havana trip as soon as you get it ready. ( We were both in your Portland, Or workshop) We might just catch one the New York street photographer workshops also. Thanks! 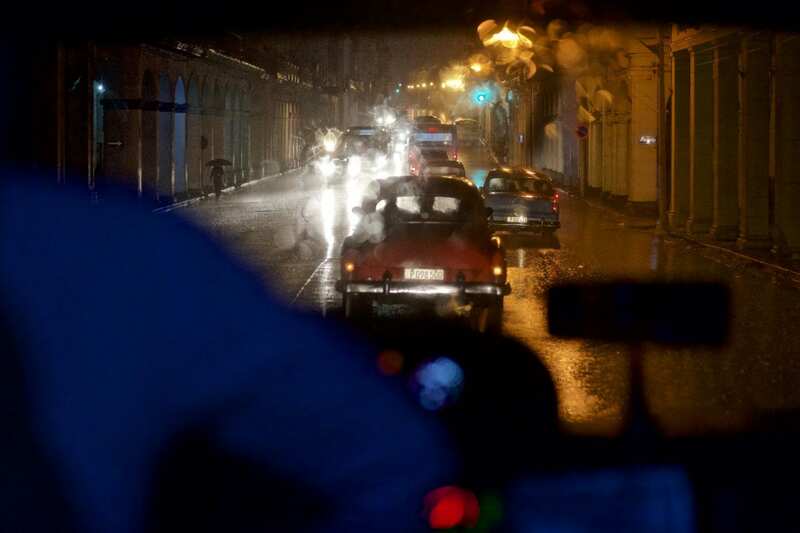 Havana is in the works…it’s a Street Photographer’s dream, will keep you posted. My favorites on my list: NYC, Tokyo, London, Paris, SF. I look forward to seeing the offerings! Going to figure things out in the next year…thanks Shawn. Hi Anna, no the week long workshop will be happening at that time! Los Angeles or San Francisco.